We’d love your help. Let us know what’s wrong with this preview of Girl Mogul by Tiffany Pham. Welcome to Girl Mogul! No matter who you are or where you come from, this book can help you define success, envision it, and make it happen—in school, in your personal life, and at work. Get ready to awaken all the awesomeness that is already inside of you. 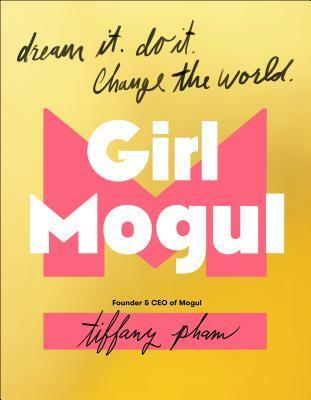 Tiffany Pham, founder Welcome to Girl Mogul! No matter who you are or where you come from, this book can help you define success, envision it, and make it happen—in school, in your personal life, and at work. Get ready to awaken all the awesomeness that is already inside of you. Tiffany Pham, founder and CEO of Mogul, created one of the most successful platforms for girls worldwide, reaching millions of people to enact true change in their lives, after receiving thousands of emails asking for advice. 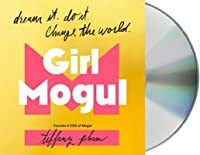 In Girl Mogul, she speaks directly to teens and young adults, sharing insights from her own life as well from the lives of the most incredible and inspiring women on Mogul. Tiffany has proven that with the right attitude, the right people, and the right vision, there’s nothing girls can’t do. To ask other readers questions about Girl Mogul, please sign up.